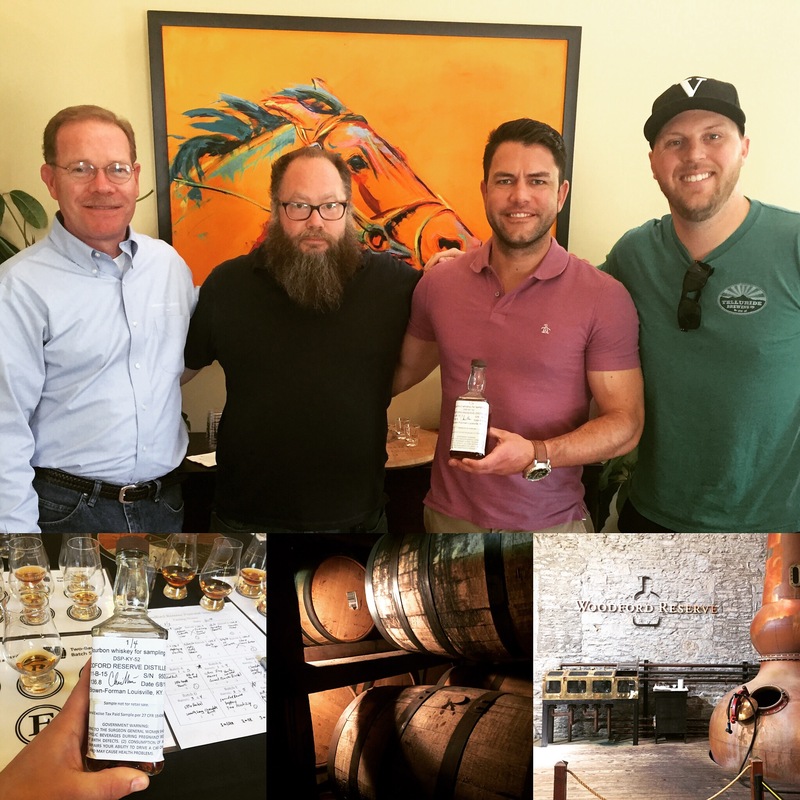 Home » Blog » Process » Woodford Barrel Selection with The Vig and Chris Morris! It all started over a year ago. Ryan was heading down to Louisville with some friends for a bachelor party. 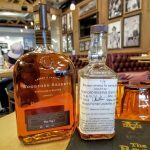 Wanting to do something special he reached out to a friend in the spirits business who connected him with Woodford Reserve. 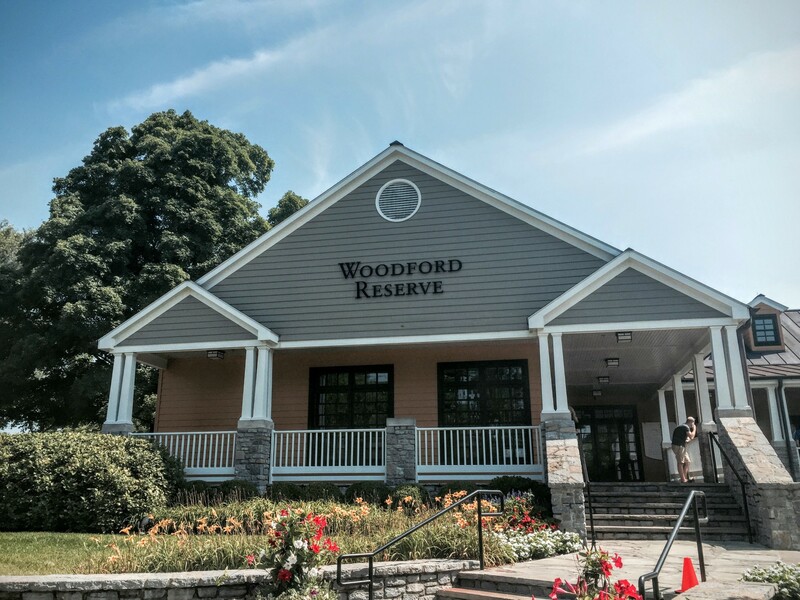 Woodford was happy to accommodate their group and give them a private tour of the distillery. During the tour the guys saw the private barrel selection room. 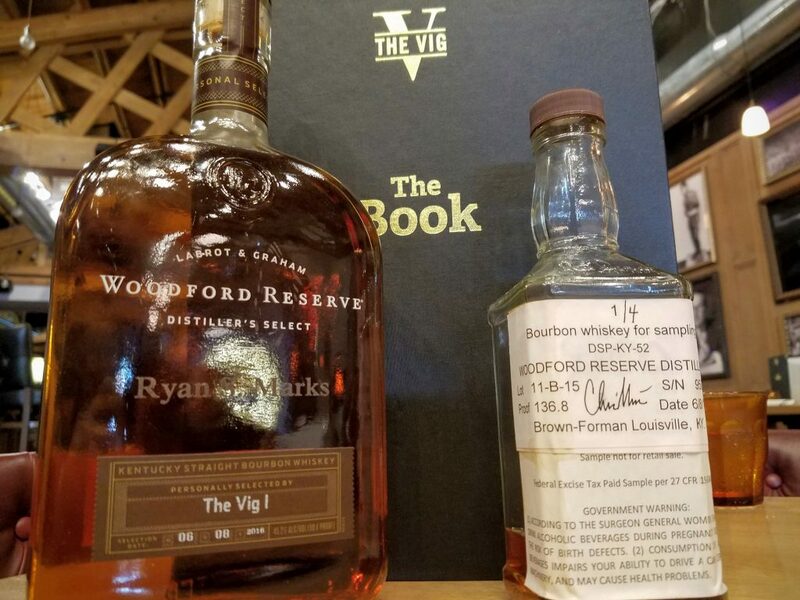 Knowing he would soon be opening The Vig, Ryan put his name on the list to pick his own barrel. About a year later he got the call that his name was selected and back to Kentucky he went. 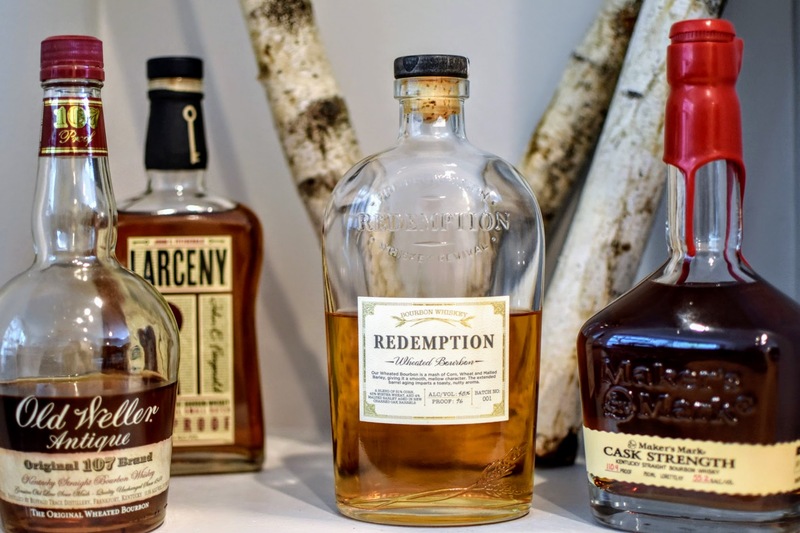 The surge in bourbon’s popularity has led to an often long wait to choose your own barrel. Even once chosen, it can take six months or more before your carefully selected barrel is dumped and bottled. 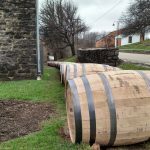 After all, the distillery is dumping hundreds of barrels a day to meet their own market demand. A relatively small amount of barrels and time are dedicated to private selections. While Ryan and his team had to wait about a year to pick their barrel thankfully it only took a few months for bottling and delivery. 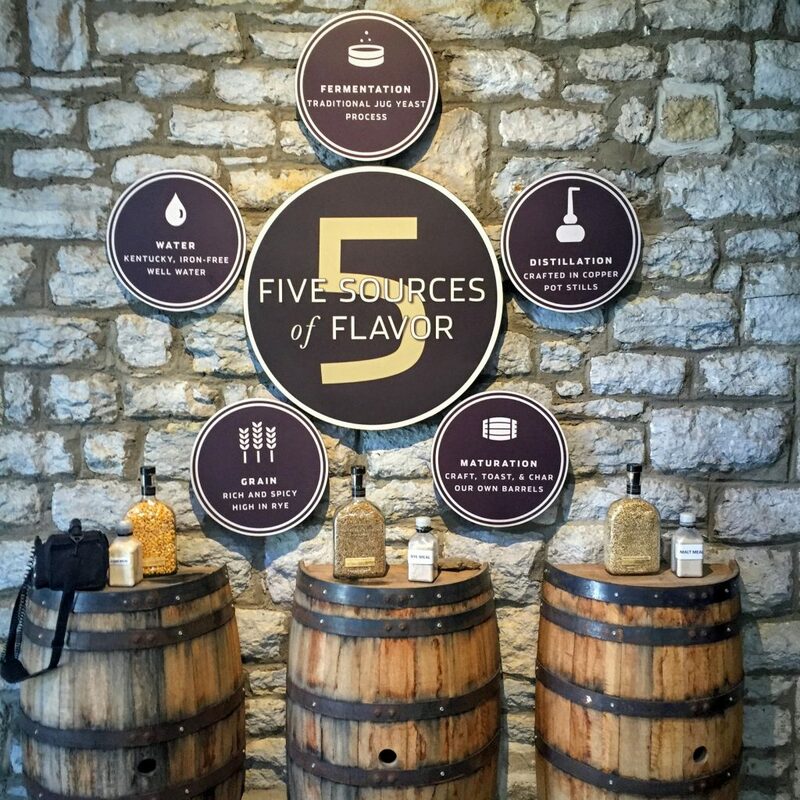 Ryan set up his barrel selection and recruited his team of tasters to make the trip to Versailles, Kentucky with him. Ryan, Chris Kafcas (GM at Moneygun and former Manager of The Bar on Buena and Fountainhead), EJ (Ryan’s business partner), and Brianna Smith (their Brown-Forman Rep). 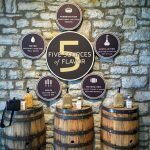 The team first toured the Woodford Distillery, then had lunch and headed into the tasting room for the main event. 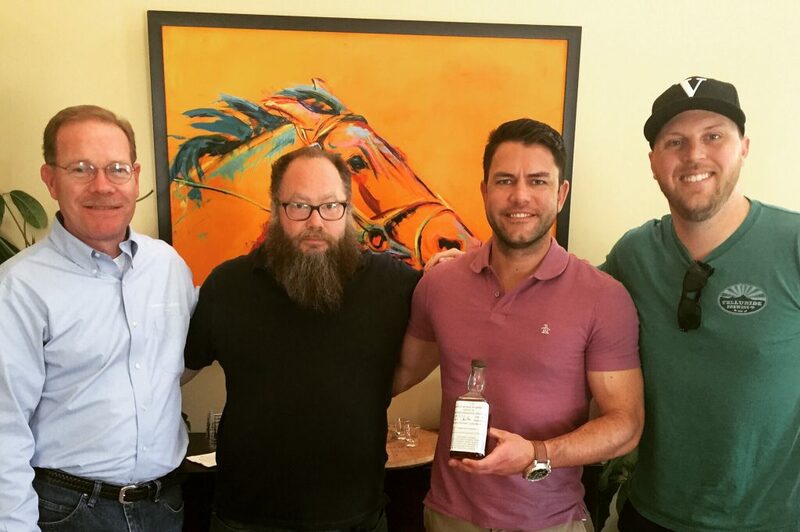 They were fortunate enough to be joined that day by Woodford’s Master Distiller Chris Morris. 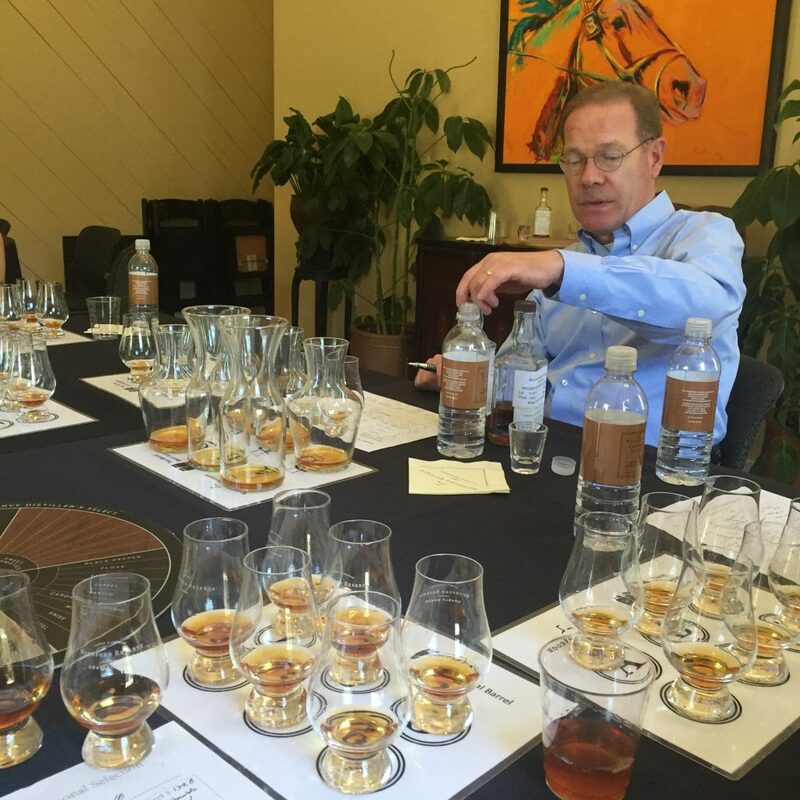 Chris guided the group through a tasting of six single barrel cask strength bourbons. For good measure they sampled from two production dates, one in 2010 and the other in 2011. 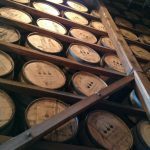 They were told the date each selection was barreled as well as the barrel proof, which ranged from 133.5 to a whopping 139.8 proof. But before getting started Chris asked them what they were looking for in a bourbon that would bear the name of The Vig. 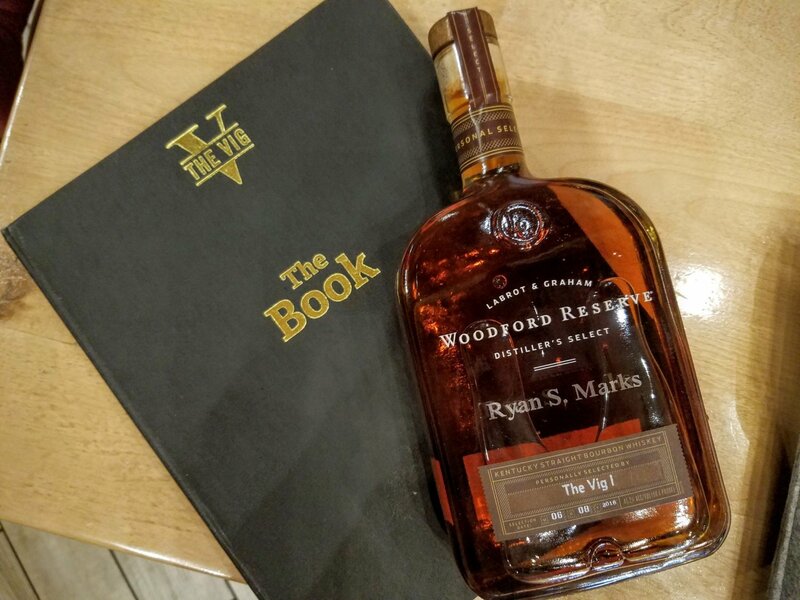 Ryan decided they wanted something distinct, smooth, and approachable to bourbon newcomers and seasoned enthusiasts alike. Something with layers of flavor and a smooth finish. 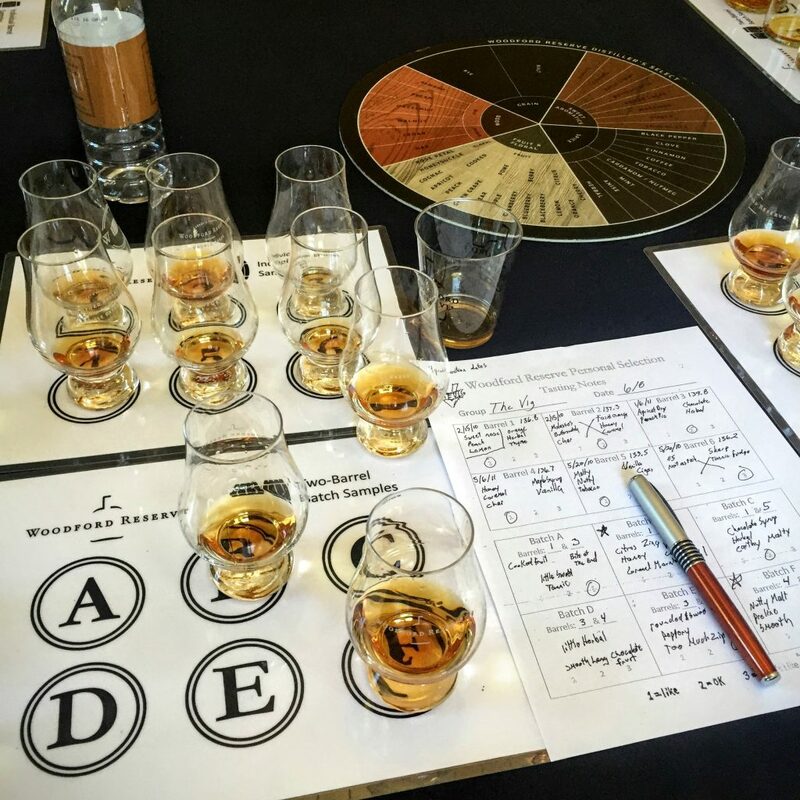 The famous Woodford tasting wheels were set up and Chris instructed the team on how to get the most out of their tasting. First nosing the cask strength bourbon in front of them and taking down their notes. Then taking a small sip, swishing it around in their mouth, followed by a second larger sip. All six were sampled then Chris instructed the group to eliminate two barrels. Barrels #2 and #6 didn’t make the cut, leaving four barrels left. Chris took these remaining four and blended 50/50 of each barrel sample to create six new samples which he then proofed down to about 90. 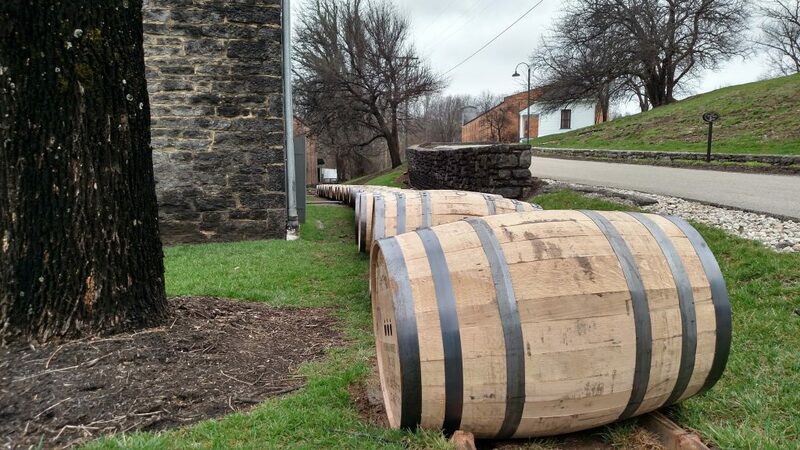 That’s right, Woodford’s Distiller’s Select Personal Selections are actually a batch of two selected barrels. 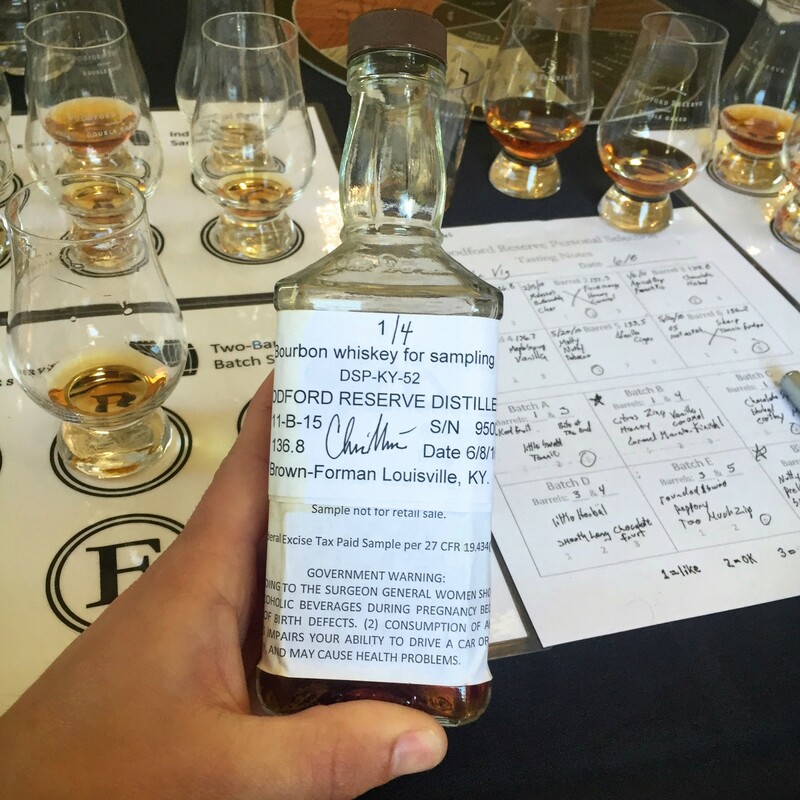 The group had to narrow it down to two of the new samples and then finally one blend containing two barrels. Each member of the tasting team eliminated a sample they didn’t like. This left them with a single sample containing barrels #1 and #4. Described by the group as having a “Citrus zing, honey, vanilla, caramel, and a sweet finish”. Some of the characteristics that didn’t make the cut included “herbal, tannic, peppery, not rich, and too much zip”. 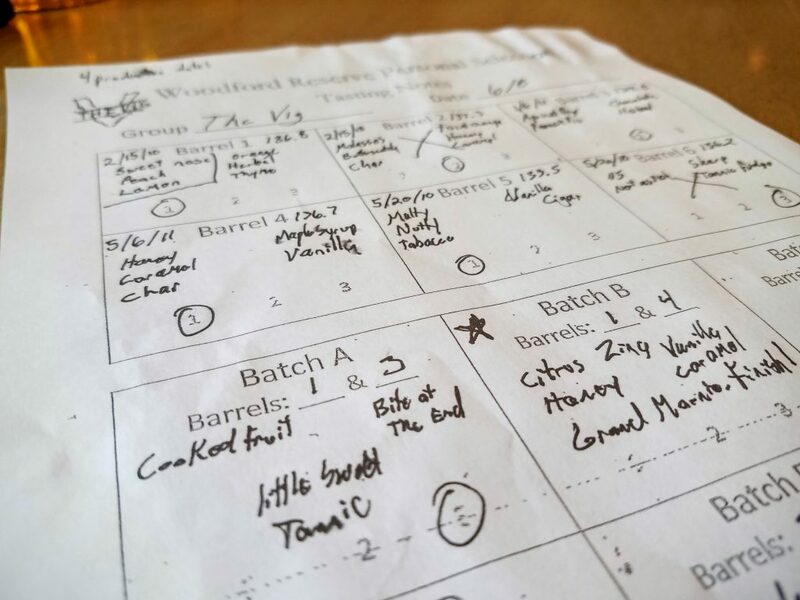 These descriptors show that a barrel selection is very much an individualized experience. 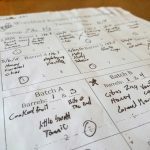 Tasters draw on their own experiences to find words that best describe what they nose and taste. 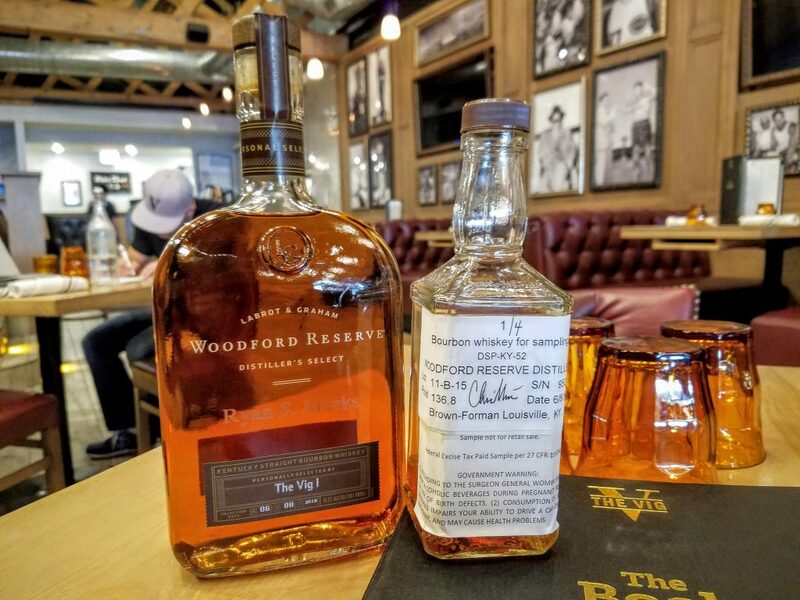 Once barrels #1 and #4 were selected they would be blended, proofed down to 90.4 proof, and used to bottle 174 bottles of The Vig Personal Selection Woodford Reserve. The group brought home a single sample bottle from their selection experience. 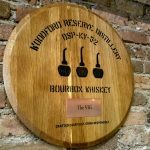 The rest of the bottles would be delivered to The Vig along with a personalized barrel head and one of the actual barrels they selected. 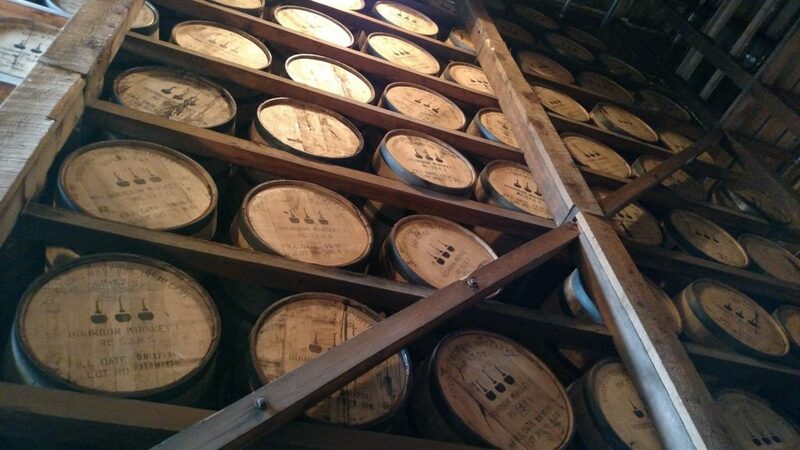 All of this bourbon is currently on sale at The Vig. Both at the bar by the pour and available by the bottle at a cost of $80. Ryan isn’t letting this story end here. 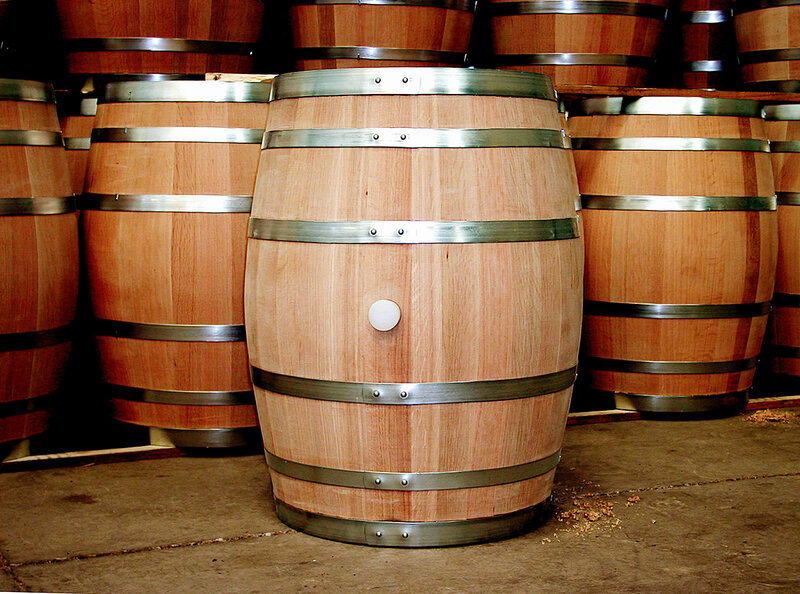 He plans to work with a local brewery to age an Oktoberfest beer in his used Woodford barrel. He’s also working on a collaboration with a second brewery to possibly age a barley wine in the barrel. 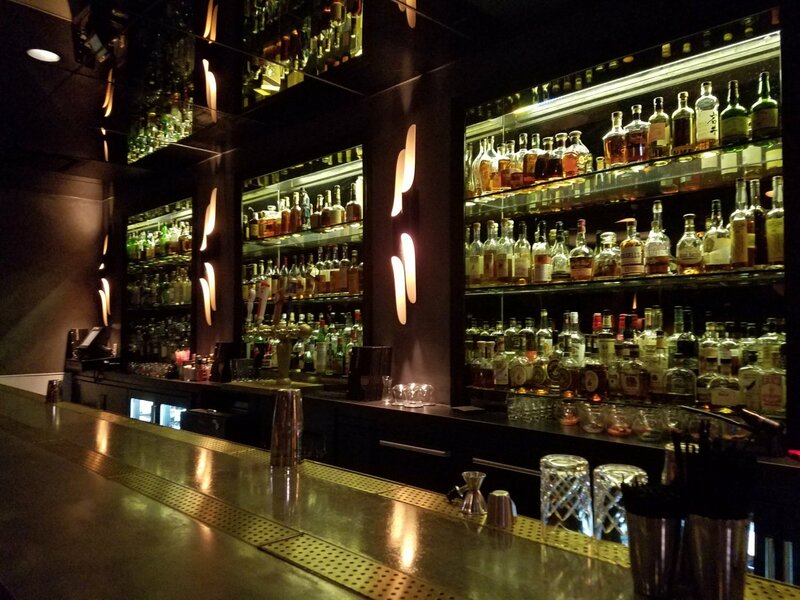 The culmination of all these beers and spirits will be a dinner pairing at The Vig where guests will be able to sample everything side by side. We’ll have more information on our blog as these plans come together. 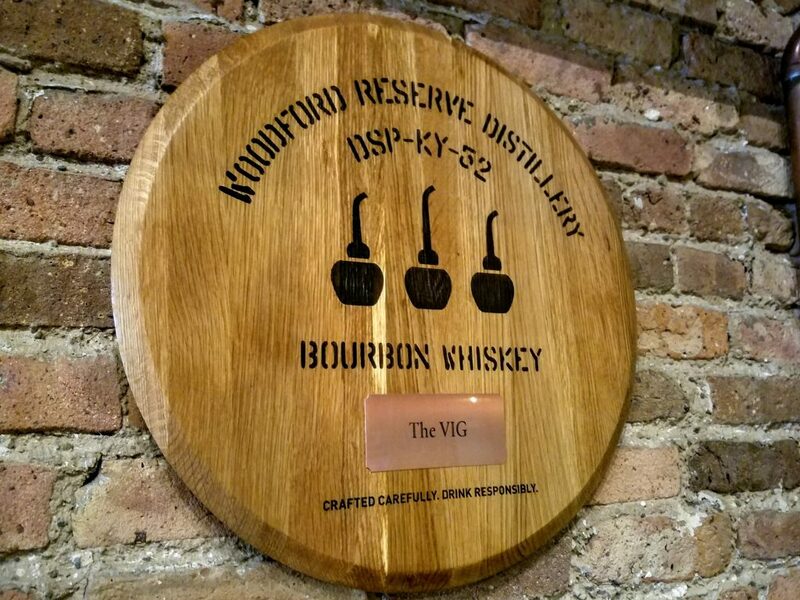 My own tasting of The Vig’s Woodford barrel selection revealed a noticeably sweeter bourbon with a smooth and complex finish. This was only reinforced when sampled side by side with the original Woodford Reserve Distiller’s Select. The group was shooting for “something distinct and smooth with layers of flavor”. I’d say that’s exactly what they found. Next post What is a Brewstillery?